Estate taxes and estate tax filing may be required upon your death. Currently, most simple estates that typically consist of cash, stocks and easy to value assets which have a total value of less than $2,000,000 (in 2006-2008*) do not require the filing of an estate tax return. For estates valued over $2,000,000 (in 2006-2008*), the Estate Tax is basically a tax on your right to transfer property at your death. * In 2009 the estate tax exemption will increase to $3,500,000. The value of property you sold or transferred within 3 years of your death. Insurance proceeds or annuities payable to your estate or heirs. Trusts that your previously established. Administration expenses of your estate. The term "trust" is used by the IRS as a declaration whereby a trustee, or trustees, take title to the property of another to protect or conserve it for the beneficiaries. Trust administration includes filing taxes, distribution of assets to beneficiaries and more. 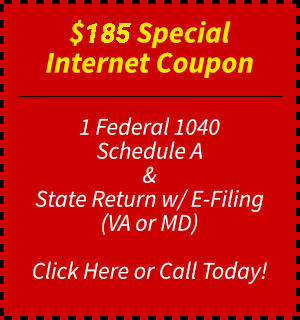 For estates and trusts, a Federal Form 1041 filing is required by the IRS. Both Maryland and Virginia have estate taxes and filing and payment requirements as well. Shapiro Tax Consultant is experienced with the proper preparation and filing of these returns which can be classified as an initial return, final return, amended return or change in fiduciary on the Federal IRS 1041 form depending on the situation. Contact us by phone at (703) 978-3296 today or Contact Us Online for quick answers to your estate and trust tax questions, to schedule an appointment for our estate and trust tax preparation services, or for additional information.